These expert marksmen drop foes dead in their tracks with flawless shots from a bow or rifle. The art of survival is central to the isolated life of a hunter. Hunters track beasts with ease and enhance their own abilities by attuning themselves to the feral aspects of various creatures. Hunters are known for the lifelong bonds they form with animals of the wild, training great hawks, cats, bears, and many other beasts to fight alongside them. Hunter leveling – Hunters are fast and easy to level. 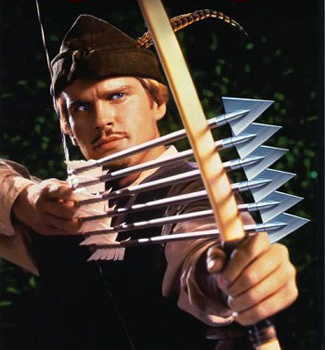 When I think of hunter, I think Beastmaster. No, not the actual talent build I mean the movie. It’s just that instead of commanding a pair of ferrets we get our pick of a few slightly larger and more powerful specimens. This change makes the pets more useful for killing momsters and players, yes, but they lack the inherent likability of ferrets. Leaving us instead with lean, mean, destruction machines – A regrettable downgrade. However, pets provide us with an amazing synergy between what is the greatest non-player tank and what may be the highest solo DPS class in the game. A Hunter and his pet being almost the equivalent of a priest/warrior leveling team, just packed into a single class. With proper mastery of their capabilities Hunters become one of the most powerful classes in the game, possessing numerous abilities dedicated to keep us both alive and continually capable of retaliating in any number of PvP and PvE situations. Being as effective as they are some might argue that Hunters have it all “too easy.” Your Hunter might have to work a bit to set herself apart from the vast flock of players more aptly named “Huntards” by the majority of players. The good news is that if you truly are a Hunter of exceptional skills it’ll be easily visible within, at most, a fight or two. This is due to difference between good and bad hunters being so dramatic as to divide them into almost entirely different classes, namely the huntards who bring ‘leet melee dps’ and those who actually take the time to lay traps and stick to their proper field of ranged combat, if at all possible. Class “balance” has always been something that the WoW developers strive for, but sometimes it’s a hit and miss thing. Especially after an expansion or big patch the balance between classes, or even builds within the same class may become a little iffy. With the 6.0 patches (Warlords) this was certainly the case. Once day class A is in god mode, the next day it’s in the dog house. For example, today, Survival might be the top DPS spec. Next week it may be different. The point is that we’re not going to play a “flavor of the moment (FOTM)” game here. We’ll present info that will make you a better Hunter and we’ll leave the balance dance to Blizzard and the FOTM game to the forums. Warlords brought a lot of changes, the item squish, new talents, new levels, a new zone (of course,) and more. For a rundown of the Hunter changes in Warlords, see this post. With Catalclysm Gnomes became the only race that could not be hunters. This is also true in Mists of Pandaria and warlords. Probably because they’re too busy repairing their city or they’re too short to use a bow. Actually, they probably let the Dwarves do the hunting and just trade with them. And Yes, Pandarens can be Hunters. Warlords of Draenor didn’t make any changes to the “which race can be which class” plan, so Gnomes still won’t get to be Hunters. What it will do is change the racials. HIt & Expertise are gone from all gear, racials, enchants, etc. and so will any racials with those stats are also gone. Other racials will also be tweaked, which should balance out the races a bit. See our Warlords Racials post for details. The best racial choice for a Hunter is one that you enjoy playing. It doesn’t matter if one race has no special abilities if you like playing that race more than others. None of the racial abilities make that much of a difference. Your skills will far outshadow any racials. Ok, if you’re an elite PvPer you might want to be human, at least half of the elites are. Melee range stun has definite use, if you ever that close. You shouldn’t be, Hunters are no longer effective at melee. Night Elves – They just look the part, ya know? Shadowmeld requires you to stay still. It drops aggro and can be used in combat. If you time ‘meld just so you can break incoming spells. The Nelf Shadowmeld racial comes in handy for ambushing unsuspecting players in both world PvP, Battlegrounds, and Arena. Additionally it can be used for hiding from higher levels/gank squads while leveling. It will drop aggro in PvE environments, allowing the tank to grab those mobs back, and will break incoming spells if you time your ‘meld just right. A very useful ability. Note: Shadowmeld does not stack with your Camouflage, but you can ‘ meld (dropping combat) and then go Camo. Quickness makes you slightly harder to hit (+2% Dodge) and slightly increases your run speed. Wisp Form: Get back to your body faster. Hopefully you’re not dying enough to make this an interesting ability. Touch of Elune: Increases your Haste by 1% during the night. Increases your Critical Strike by 1% during the day. Both stats are good for any Hunter. Dwarves – Yes, short rock munchers like to hunt, too. Human – They should have been Hunters since day 1. The Human Diplomacy skill will allow for more rapid faction gain (very nice if you’re working towards any of the zillion faction in WoW) including the factions in Tanaan, which will allow you to get your Draenor Flying that much faster. the escape ability is very nice for PvP, since it allows the use of two DPS trinkets. It will only rarely be useful in PvE or while leveling. Worgen – One word: Fleas. Ok, another word: Snuffling. Seriously though, Worgen are fine as Hunters. Darkflight allows periodic quick movement, which is always useful. Increased crit chance (viciousness) is a good stat for any flavor of Hunter. .
Run Wild lets you drop to all fours and run. Blood Elves – Best hair of any Hunter race, especially the males. Well ok, Blood Elves look good. A truly devastating Hunter ability. Really. Acuity adds +1% to your Crit rating, which is a good stat for all Hunters. War Stomp: Stuns up to 5 enemies within 8 yds for 2 sec. You will occasionally be in melee range, esp. in PvP, so this ability definitely has its uses. Endurance: Increases your Stamina by 197 (scales with level) which is always valuable in the realm of massive PvP burst damage, where every point of health counts. Trolls – Winners of the “Best Tusk” competition. Increased Haste when Berserk is very nice ability for any Hunter. . Your regeneration is increased, but it’s trivial and you’ll never notice it. Orcs – Like dwarves, but not short. And they’re green, usually. Ok, not like Dwarves. Blood Fury increases youir ranged attack power, which is a pretty nice cooldown. The slightly increased pet damage (command) makes the Orc one of the better Hunter races. Hardiness allows a 10% decreased stun duration, which is nice for PvP and only rarely useful outside of PvP. Undead – Well… Sylvanas is a Hunter (Ranger,) so why not? Goblins can Rocket Jump forward or away. which has its uses. THink of it as a Diengage that can go either direction. as will Vendor Discounts (lower prices) and your Personal Bank, though both are nice for other reasons. Haste adds 1% to your Haste, a good stat for most Hunters. Blast all the way to 100, the easy way! Click Here! My recommendation for tradeskills/professions is to pick any two of: skinning, herbalism, or mining. This is a great way to earn a decent amount of gold throughout your career. Gather a bunch of herbs/ores/skins and send ’em off to your banker to sell. You don’t even need to have much skill to collect most of the herbs, ores, or skins, but you DO need to have enough skill to get anything other than fragements. Generally, crafting skills should be avoided unless you have that excess cash, since those skills are very expensive to level. Besides the obvious benefits, each of the profession skills offers a special perk, such as increased crit rating from skinning. In Warlords of Draenor all of the direct combat benefits of the various professions were removed. Professions are more for flavor, and gold making, rather than min/maxing. Note that most of the Draenor recipes can be made at skill level 1 and are generally simple to make. Also note that the items to boost the item level of the pieces you make generally sell quite well. You can assign a follower to you garrison profession buildings and that follower can provide you with some nice perks. Leatherworking – for some decent gear, especially at high level, but it’s expensive to level. will let you make entry level armor for raids (ilevel 640.) You can make the items to reroll the stats on those pieces as well as to upgrade the items to 715, at a cost far exceeding that of the original piece. You can also make Drums of Fury for a Heroism type buff (25% Haste for 40 sec.) Through the Leatherworking hut in your Garrison you can make single use tents that will increase all of your stats by 10% for an hour, though not in raids or rated PvP. These tents are account bound, so you can mail them to all of your alts. Skinning – to make money and support your leatherworking skill. Mining and Herbalism are great cash grinding skills. Inscription You can make some money with it, but it takes some work. If you just want your glyphs then, on most servers, it’s cheaper to buy them all than to level this profession. Very nice shoulder enchant provides 520 total Ag and 100 Crit. This one actually still exists in game, for example: Secret Tiger Claw Inscription. You can make items for casters and some trinkets, as well as items to upgrade those items. First aid is essential. Keep it maxed at all times, even if you’re raiding. Cooking is useful as many of the foods you create will have interesting buffs, as well as allowing you to regain health and mana. Alchemy has lots of useful potions and you can make yourself a pretty nice trinket. Jewelcrafting will let you make fine jewelry, item level 640, which like the leather working bit can be raised to ilevel 715. Song of the Anvil – “Your armor and weapons do not lose durability from use for 4 hrs.” Just the thing for an extended taiding/dungeoning session, right? Enchanting will let you make illusionary enchants, though your follower. These let you change the look of you other enchants. Engineering has a number of engie toys that are useful. Nitro Boosts and a nice Rifle (Shrediron’s Shredder,) to name two. Your follower will sell you, cheaply, some useful stuff. One of these is Walter, a repair bot and personal bank. You can also make rockets, a stealth device, and a shield. Need to get more gold? Check out Tycoon. Hunter abilities are distributed about 2/3’s into our own powers and such with the remaining 1/3 being the slew of pet specific talents such as mend pet, revive, etc. This number of pet abilities increases should you specialize into Beast Mastery. Properly using a Hunter, of course, depends on the efficient usage of our pet, whether that be for tanking, as beast mastery, additional DPS as marksman, due to declining threat gain without talent tree buffs, or simply a distraction, as Survival in PvP. Cataclysm made the whole taming and training system somewhat easier and added the ability to have several pets on call and store many more in the stables. Nowadays pets gain levels more quickly than ever before and their Happiness became much easier to maintain. In 4.1 happiness was gone. You no longer had to keep your pets happy or loyal. In Mists of Pandaria it’s even easier. There is no pet maintenance of any kind. Feeding your pet heals it, but that’s about all. In Warlords there are some changes to pet abilities, such as crowd control being removed. See this post for details. Beast Mastery Hunters can train more exotic pets, such as the T Rex’s wandering around Ungoro Crater. In Mists of Pandaria this ability remains with Beast Mastery, but is called Exotic Beasts. In Mists of Pandaria and beyond any pet can become either Ferocity, Cunning, or Tenacity. Yes, this means your bat can take the tanking tree. In addition you can change pet specs on the fly, just like glyphs and talents. Your tanking Bat pet can DPS the next fight as Ferocity and be Cunning for the one after that. Pets automatically get their abilities, there are no more talents to learn. Pets immediately become your level when you tame them. No happiness or loyalty to worry about, no talents to buy or train. Each pet can pick from one of the three specs: Ferocity, Tenacity, and Cunning. They will automatically learn that set of abilities when they “learn” that spec, just like you do. The spec abilities are in addition to the regular pet abilities, such as Growl. You can swap pet builds whenever you want to. Ferocity to Tenacity to Cunning when you need it, then back again. At will. There is a pet tab in your spellbook, check all the pet abilities there. Pets have three overall “builds/specs.” Note that the crowd control abilities will be gone in Warlords. Ferocity is for DPS pets. They can tank a couple of mobs just fine, but their main job is damage. Generally, in raids, your pet will be Ferocity. Past level 60 or so they don’t hold aggro as well as they do at earlier levels, but your skills should be such that this won’t matter. Much. Rabid: Increases pet’s attack power by 50% for 20 seconds. Dash: 80% movement speed increase for 20 seconds. Heart of the Pheonix: When used you pet returns to life with 100% health. Spiked Collar: 10% increase to basic attack damage, attack speed, and crit chance. Tenacity is the build that your tanking pets will have. These pets will keep the attentions of several mobs, and survive, while you burn them down. A few Hunters even tank dungeons with these pets and then make the boss into a pet, such as with King Dred. Last Stand: Your pet gains 30% health for 20 seconds. Charge: Your pet charges, stunning the opponent for 1 second, and gaining 25% Attack Power for the next attack. Thunderstomp: (level 20) Shake the ground doing minor damage to all enemies within 8 years and causing a moderate amount of threat. Blood of the Rhino: Pet gets 40% more healing, 20% more armor, 6% less chance to be crit from melee attacks. Great Stamina: More stam for better tanking. Cunning pets have certain special abilities that are useful in particular situations. Roar of Sacrifice: For 12 seconds your pet can make a target immune to crits, but the pet takes some of the damage done to the target. Bullheaded: Break free of all effects and take 20% less damage for 12 seconds. Cornered: At low health your pet becomes resistant to crits and does more damage. Boar’s Speed: (Passive) Your pet moves 30% faster. Which one is “best?” That depends on you and how you like to play. As you level you will gain the ability to train additional pets, which you can swap as necessary. Additional pets can be kept in the stables. Pretend they’re Pokemon and catch ’em all. Petopia has lots of info on Hunter pets. Different pets require different foods. Some want veggies, some want meat, and you get to provide the food. (Sorry, but other players don’t count as “meat.”) You’ll have to either kill stuff, go fishing, or buy the food from the various vendors (such as fruit or meat sellers.) See the links above for pet lists and which foods they require. Higher level foods heal your pet for more than lower level foods. All that the food does is heal your pet, out of combat. It does nothing else. Food used to do more, but that’s all gone now. Pets inherit 100% of the Hunter’s hit, haste, and crit, and scale considerably from AP. All 3 pet types inherit the same AP scaling, so differences in DPS come from the pet’s basic abilities and their talents. Pet specific consumables are no longer available. 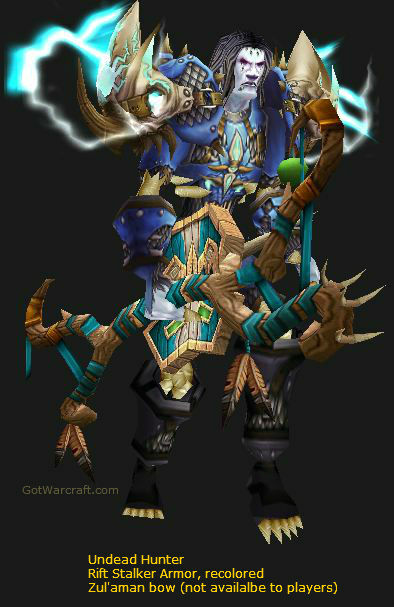 If you’re Draenei your pet will inherit your hit racial. When done right, Hunter Leveling can be compared to the pleasure of slowly sipping down a nice glass of (insert cold beverage of choice here) on a hot summer day, pleasurable and luxuriously easy – Just the way I like it to be when I level. Thankfully, all three styles of Hunter builds are viable for leveling, catering to those who prefer to snipe from a long range or sick enraged cats on people. Not to mention the smaller, yet equally capable crowd, that likes the tactical challenge of survival from start to the level cap. 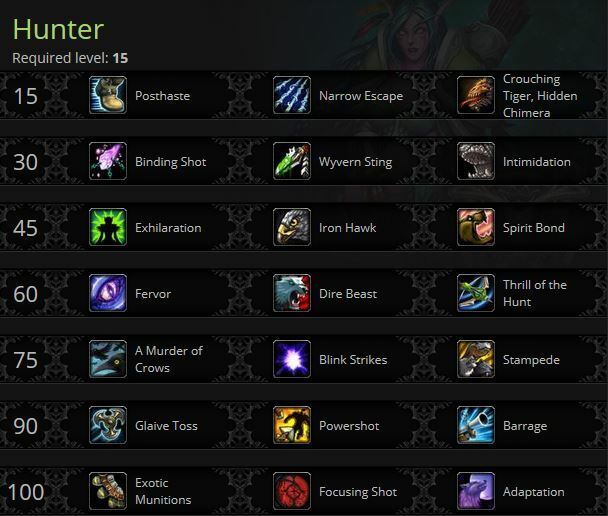 For info more specific to leveling check out our Hunter Leveling Guide for information, talent builds, and stuff. If you need a step-by-step guide to go from 1 to the level cap (or starting from any level) then check out our recommended leveling guide, below. Each Hunter specialization (spec) will get from 10 to 13 abilities that none of the others get, such as Marksmanship’s Aimed Shot. These are in addition to the regular abilities that are shared by all Hunters and the talents. Most, not all, of these abilities have been tweaked from their Cataclysm versions. A couple are new, some were talents. Hover over the links for descriptions. Remember that you can still use the Dual Build ability (learned from your trainer.) As with the regular abilities you will learn these automatically as you level. In Warlords you will gain Perks instead of abilities at 92+. Perks just add something to a previously learned ability, such as additional damage. Hover over the links for the ability description. Beastmastery fulfills yet another crucial role in the hunter class, the improvement of our pets. These talents will take the pet from being just an assitant to something far greater. Not only does this tree maintain the pet’s effectiveness at tanking, but also brings massive amounts of improvement in DPS, regeneration, and a variety of other abilities – via multiple talents that apply increases to both the Hunter and the Pet, notably The Beast Within. See our Beast Mastery PvE page for using BM in insances and raids, and our Hunter Leveling Guides for more on leveling BM. Most of your abilities are oriented towards making your shots faster and/or more effective. For example, your Careful Aim (lev 20) will make your opening Aimed Shot much more effective. Your Forte is Traps and Stings. Both are more effective than other Hunters and your Lock and Load ability gives you free Explosive Shots on trapped targets. Burn ’em down, baby. See our page on the Survival Hunter for more and our Hunter Leveling Guide for leveling tips. Perks are the new Warlords “abilities,” and they’re just passive enhancements to existing abilities. You gain a new one at levels 92, 94, 96, and 98, for four total. They are also learned randomly until you have all four. All perks are passive. 92+: Enhanced Basic Attacks – chance for more basic attacks. 92+: Enhanced Camouflage – regain health while Camo is active. 92+: Improved Beast Cleave – More damage while BC is active. 92+: Improved Focus Fire – more attack power. 92+: Enhanced Aimed Shot – AS grants you 20 Focus. 92+: Enhanced Kill Shot – works on targets with 35% or less health. 92+: Improved Focus – +20 max focus. 92+: Empowered Explosive Shot – +1 sec. duration. 92+: Enhanced Entrapment – tougher root effects. 92+: Enhanced Traps – faster cooldown on all traps. Talents are pretty simple these days, much simpler than they have been before. You have six “tiers” of talents, each with three choices. Any spec of Hunter can chose any one talent from any tier. Six total talents at level 90. You’ll note that each tier covers a certain general type of enhancement, such as Tier 1, which alters your Disengage ability. Talent details are below the image. Again, you can pick one from any one row, regardless of your spec. You can also freely change them at any time, with one dose of the appropriate reagent, such as vanishing powder. Posthaste – Your Disengage breaks free from movement impairing effects and increases your movement rate. Narrow Escape – When you Disengage you leave webs, snagging all targets for a few seconds. Crouching Tiger, Hidden Chimera – Reduces cooldowns of Disengage and Deterrence. Binding Shot – Tethers enemies to an area around your arrow. Wyvern Sting – Puts the target to sleep for awhile. Intimidation – your pet briefly stuns the target. Exhilaration – Heal yourself and your pet. Iron Hawk – reduce incoming damage by 10%. Spirit Bond – You and your pet regenerate. Steady Focus – Regen +50% focus for 10 seconds. Dire Beast – Summons a mighty beast to attack your target. Thrill of the Hunt – Chance for next Arcane/Multi-shots to be free. A Murder of Crows – A flock of crows will attack your target. Blink Strikes – Pet shadowsteps to target and does damage. Stampede – all of your pets attack the target for 40 seconds, but in BGs or Arena only do 25% damage. Glaive Toss – Throw glaives to slow target and increase their damage taken. Powershot – A mighty shot that knocks back opponents. Barrage – A spray of shots that damages the target and enemies between you and the target. 100 Exotic Munitions: Allows different ammo types. Focusing Shot – Line up a shot for decent damage and regain 50 Focus. Replaces Steady Shot and Cobra Shot. (The talent is the same for all three specs, despite what the tooltip says.) BM: Adaptation – Your pet does more damage and gains several abilities. MM and S: Lone Wolf – Put your pet away and do more damage. Also provide raid buffs. Marksmanship leveling follows the much loved style of nuking the opposition from orbit (or at least a fairly large distance,) as it’s really the only way to be sure of victory. To make things even better, you’ll likely kill your target before it even reaches you, making it fairly easy to continually pull mobs without a single second of downtime. Aimed Shot + Careful Aim is a brutal opener. So, if that’s not enough to convince you, Marksman is both entertaining and easy. Try it if the image of a lone-gunman suits your playstyle. Of course, that kind of ranged damage will make you a valuable team member, as well. Note that at level 100 you can take the Lone Wolf talent, which allows you to run without pets and do even more damage than before. Marksman Hunter DPS page for Raids, instances, and dungeons, including your rotations, useful tips, gems, enchants, and more. Also see our Hunter Leveling Guide for lots of leveling info. Despite all praises I may have for Marksman as a method of leveling, Beast Mastery somehow manages to surpass even this, setting a new bar for soloing capabilities only matched by a very few. The majority of Beast Mastery’s overwhelming leveling speed comes from the fact that many Beast Mastery abilities not only improve the pet, but the Hunter himself (to a lesser extent.) More pet damage equals more Hunter damage, not equaling the level of marksmanship necessarily, but still more than enough to make you an even greater killing machine than ever before. Finally the pet’s tanking ability becomes almost unstoppable with bestial wrath and intimidation, allowing you to run from fight to fight, even with elites, without ever taking a scratch and wasting barely ten seconds healing the pet from any damage taken. Having the pet as your tank eliminates the potential for mistakes and helps to make the pair of you into a very efficient killing machine. See our Beast Mastery PvE page for using BM in instances and raids, including full rotations, gems, enchants, etc., and our Hunter Leveling Guides for more on leveling BM. If you looking to kill other players there’s the BM PvP page and a BM gear guide. Survival, unlike marksmanship or beast mastery, seems more apt for providing a fun distraction from the usual grind of leveling while still maintaining speeds generally unreachable by any aside from Rogues or Fury Warriors. The concept of spending more time on the tactical approach to combat via traps, as opposed to a run n’ gun style of play, appeals to both myself and many others, despite its relative slowness compared to the other styles of hunter leveling. I’d recommend the Survival Tree for players picking up a Hunter to level for perhaps the second or third time. It provides a reasonable change in combat and overall playstyle and is a refreshing experience without becoming truly tedious at any time. See our page on the Survival Hunter PvE page for info on talents, rotations, gems, enchants, etc., and our Hunter Leveling Guide for leveling tips. Stay out of melee – While Hunters can dish out enough melee damage to function for leveling it doesn’t work so well for PvP. Any other melee class will lock you up and shut you down. Use your abilities to get out of melee ASAP and get back to your strength, ranged devastation. Hunters can be very effective at PvP, but like any other class they have to play to their strengths and minimize their weaknesses. Hone the skills that keep the opposition controlled and away from you. Learn the skills that apply the highest burst damage for those times when you can just blast away. Your damage is fine, your control is fine, your ability to escape is fine. Your #1 question is how well you can stay out of melee and the #2 question is how well you can keep casters interrupted and/or silenced or otherwise out of your hair. While your pet will be completely unable to tank another player it can be a very valuable DPS addition. It can also initiate an attack, allowing you to get several shots in before the other player finds and targets you. Some pets, such as those with large wing spans, can obscure the vision of the other player. Other pets have special abilities which can also be useful. Monkeys (rude manners) and Spiders (webs) come to mind. Those special abilities are the reasons you’ll see so many of those pets in PvP. Traps laid down in bottleneck areas, such as the tunnels in Warsong Gulch, or the entries to either base in Atarac Valley, or right next to (or on top of) a flag can be very valuable. Crowd Control abilities can be every bit as useful as raw damage. Arena – There are plenty of Hunters in the top arena rankings, especially in 3s. See our Beast Mastery PvP gearing guide. Pretty much everything there will apply to any other flavor of Hunter. See Skill-Capped for all kinds of Hunter PvP info, get questions answered, and basically get better. Hit and Expertise are gone. Multistrike is a stat that gives you a chance to automatically fire additional, lower damage, attacks. You get two chances for an addition hit in PvE, one in PvP. Versatility is a new stat that adds to your attack power, your healing, and your damage reduction. Resilience and PvP Power are dead on Warlords gear, but are still available on lower level PvP gear. Critical Hit will do 150% damage in PvP, instead of the 200% it does elsewhere. Oh yeah, Reforging is also dead. In Mists of Pandaria Focus became the “resource” that Hunters (and their pets) use for all of their attacks. It works very much like a Rogue’s Energy and it makes resource management something to keep an eye on. Almost every attack you make, that isn’t an “auto-attack,” will require X amount of focus. Various talents will either restore Focus or increase its regeneration speed, for both you and your pet. Agility -Your #1 stat. Adds to your ranged DPS, your crit chance, and your dodge. Agi is, by far, your most important stat for damage (DPS) regardless of which spec you play. Attack Power – Directly increases your damage, but only appears with certain enchants. Crit rating – Almost as important as Attack Power. Crits double your damage. Haste – The affects both the speed of your shots, cooldown timers, and focus regeneration. Multistrike is a stat that gives you a chance to automatically fire additional, lower damage, attacks. You get two chances for an addition hit in PvE, one in PvP. If you want more detail on how it works, go here. Versatility is a new stat that directly adds to your damage, your healing, and your damage reduction. Mastery – this stat is trainable at level 80. Its value will vary with your build and gear. Typically this is a weaker stat for Hunters. Strength – You don’t need strength. Pets inherit nothing from your Str. Stamina – Keeps you alive . You need more for PvP than either Raiding or Leveling. If you’re low level then we suggest piling on the Stam as it makes survival easier. Resilience – only appears on gear that’s for level 90s and lower, it does not appear on Warlords gear. Still useful if you’re doing PvP at 90 or lower. PvP Power – is also gone on Warlords gear, but still appears on lower level PvP gear. As with Resilience it’s still useful if you’re doing PvP at 90 or lower. Heirlooms note: You can buy most of your heirlooms with gold. They start with a level 60 cap, but you can upgrade them to carry you to level 90 or 100. One might assume that the heirloom cap will be 110 when Legion goes live. Dunno yet. Get a full set and you won’t have to worry about gear until the level cap. At level 40 you get to wear mail armor and at level 50 you will get a bonus if you have mail armor in all appropriate slots. Level 70: If you like PvP then do enough before level 70 so that you can buy the level 70 epic (Brutal) PvP gear from the arena vendors. 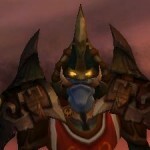 Mists of Pandaria gear starts appearing at level 80 and is better than Cata gear at that level. Keep an eye on the AH for your stuff. At 85 you will venture into the lands of M of P. You will eventually (well before level 86) find a vendor who will sell you all of your item level 377 gear, if you haven’t upgraded by this time. Higher level gear in on the Auction House. Note that you can find item level 417 M of P gear that can be worn at level 81. 417 is almost as good as the top Cataclysm raid gear (no gem sockets, so it falls behind.) If you can afford it you can likely be very nicely geared from level 81+. At 90 you can grind the Timeless Isle for decent gear and/or buy the Crafted Malevolent Gladiator PvP set. At 91 you can equip three pieces of crafted gear. Why bother? Because the armor is item level 640 and the weapon (a rifle) is 630. Both are way better than anything else you’ll find at 91. both can be upgraded by 75 item levels, but that will be expensive. Upgrade the armor with 3x Burnished Essence, 1x mighty Burn Ess, 1x Powerful BE. Upgrade the gun with 3x True Iron Trigger, Advanced Muzzlesprocket is next, then Taladite Firing Pin to finish. Balefull gear tokens can be found in Tanaan, If you have another character in that area then you may already have a few. Clicking the token gives you a piece of 650 gear. These can be upgraded to 695 with tokens found at your base in Tanaan, but each upgrade will cost 20k Apexis crystals. PvP Honor gear comes with a 670 PvE rating and a 700 PvP rating. Top level raid gear and the Conquest gear will be better still. And then you’ll be ready for Legion. Note that the Warlords enchants, as with other enchants, can be added to any level item (yes, even your level 1 bow) and will scale appropriately. You don’t really care about these, do you? As with the rings, there are similar “breath of…” enchants which add +30 to the stat and which are much cheaper. As with the rings, there are similar “breath of…” enchants which add +40 to the stat and will likely be much cheaper. 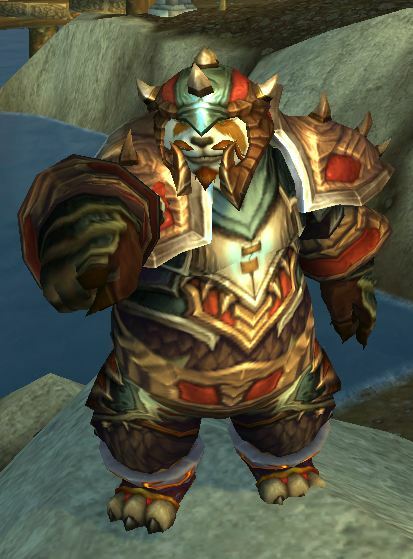 Enchant Boots – Pandaren’s Step: 10 Mastery and Slight run speed increase. Gems in Warlords are few and far between. They do not appear on vendored gear (such as honor/Conquest gear,) but might on dropped gear. There is never more than one socket per item and all gems provide for one of the secondary stats. There are no Agility gems. The best gems available each provide +75 to the appropriate stat. There’s also a “greater” version of each gem which adds +50, and a basic version that adds +35. Note that Mists of Pandaria gems have twice the value for the secondary stats than they do for the primary stats, for example: 320 Crit Vs 160 Agility. Agility is still much better for any Hunter than any other stat, but with the high value of secondary stat gems it might be worthwhile to match Agility socket bonuses. For PvP, the PvP Power gems were better than Agility gems, until patch 5.3 hit. Now you should gem for Agility in all cases and use the hybrid gems to match socket colors. You can drop the orange gems into yellow sockets and purples into blues and still match socket bonuses. Gem Priorities if you’re item level 600 or lower. If you’re PvPing then you should mix in any abilities that might help even though they don’t increase damage, such as Concussive shot. Crowd Control will be a huge help in laying waste to the opposition. If you’re clicking your buttons, rather than using hotkeys, you’re at a disadvantage. Zuggy has a pretty good guide to hotkeys. It’s old, but still pretty good. This video is really old (before Cataclysm,) but covers trapping basics nicely. Mentally add your Trap Launcher ability to what’s shown here and you’ll be good. This video is oriented towards Arena PVP and is quite a bit more advanced. It’s a Skill-Capped video and there are a lot more Hunter PvP videos and guides on that site. With all the leveling changes introduced way back in Cataclysm and the faster 70-80 leveling in 4.3 questing became about as fast as dungeon or PvP leveling. In Mists getting to 90 was pretty easy. And in Warlords, getting to 100? Not a big problem, though a bit slow here and there. How to go a lot faster? 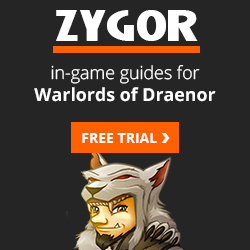 Grab Zygor’s guide. It literally points the way, every step of the way, all the way. You’ll never again have any doubts about where to go or what to do. You’ll never again have to check some website for tips and you might even never have to look at your quest log. Just follow the arrow and the steps and boom, boom, boom, you’re there. Whether you’re brand new to WoW or are decked head to toe in Heirloom, Zygor has your back and will get you to 100 (amd beyond, when Legion arrives) faster than anything else. Even if you’ve done it all before you’ll still find yourself leveling even faster than before. Click here to grab your copy and get to the level cap ASAP! Hunter leveling – Hunters are fast and easy to level and our leveling page with give you all the help you need. Playing the Best Mastery spec? Then see our Beast Mastery DPS page for raids and dungeons and such or the Beast Mastery PvP page if hunting down other players is your thing. Survival DPS for the raids. Marksmanship DPS for raiding and dungeons and if you’ll going after players, then our Marksmanship PvP page. Hunter PvP gearing for all specs of Hunter. This guide is messed up, good guide but lots of “undefined” stuff on it. Hey thanks. I haven’t been doing much recently due to life reasons, but I’ll start hitting things again this weekend and put that on top of the list. This guide is awesome. Haven’t played wow in a while and wanted to try out the hunter class. This is everything i needed. Thanks mate. Thanks this is my first time on wow and was very clear! Very nice guide! I am leveling a hunter for the first time and it really gave me a clue about what is what with them. Thanks. Thanks. 🙂 Tell your friends?